These 'Rise of the Planet of the Apes' quotes definitely help to explain the crux of the film. 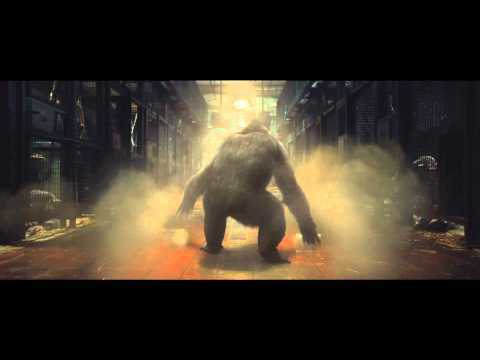 This highly-anticipated blockbuster sci-fi film is very quotable, offering insights about the war between man and primate. 'Rise of the Planet of the Apes' stars James Franco as Will Rodman, San Francisco scientist who (unintentionally) gives rise to the epic struggle between chimps and man. 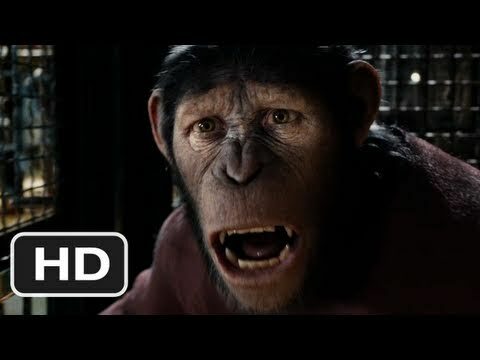 The movie actually tells its story through the eyes of Caesar (Andy Serkis), a young chimp and former test subject who leads the revolt. Some of these quotes also clearly show that this movie is much more than a mere sci-fi thriller - it's an emotionally compelling picture as well, possibly hearkening back to some of the more humanistic sci-fi films from the 1970s. So check these 'Rise of the Planet of the Apes' quotes out, and if you know of any we missed, please feel free to add them to the list! Will: "He hasn't spent any time with other chimps." This is definitely a problem, Will. You did a great thing by rescuing Caesar from the lab and protecting him as he grew up - but he's essentially been captive, cut off from his kind. Will: "You have no idea what you're dealing with!" And therein lies a huge part of the problem, scientist Will. You are well aware of how highly advanced Caesar is - but your fellow scientists are not, nor do they seem to care unless it's fattening their bottom line. Caroline: "You're trying to control things that are not meant to be controlled." Will really needs to listen to primatologist Caroline (Frieda Pinto). She knows these animals and knows the very real dangers. Will (to Caesar): "Don't ever let them catch you." At this point, Caesar's in full-out revolt-leading mode, but Will still loves him - warning him not to let the scientists capture him, no matter what.